Sitting here in North Carolina on this dreary, wet, chilly evening makes me yearn for St. Croix, where we were a few weeks ago. We chose the lesser-known US Virgin Island because it has so much variety, which means we were going nonstop to see everything, but that’s us. Below is the story I wrote for the Boston Globe, along with photographer Lina’s favorite photos. I couldn’t believe the paper didn’t use one of the iconic sugar mill. We spent more than an hour there shooting. And so it goes. I received several notes of appreciation from Crucians, who are so proud of their island. CHRISTIANSTED, St. Croix — Even before I was able to see daylight’s gift a sea shimmering in a crayon box of blues from turquoise to midnight my hands told me I’d made it to the Caribbean the night before, their rough, wrinkled winter skin showing just a hint of the smoothness to come. My partner, Lina, and I decided to visit the largest of the US Virgin Islands (84 square miles) because it offered a little bit of everything: plentiful beaches, green hills, lively town centers, and historic sites. St. Croix has the reputation of being the poor relation to glitzier St. Thomas and lusher St. John, but we found a rich culture here, born of the island’s Danish past, its once-mighty sugar trade, and its cordial Crucians, as the native islanders are called. Add to that pristine islands to visit, water sports, and even a rain forest to explore and you can see why we were hard-pressed to squeeze everything into a week’s stay last month. We based ourselves in a centrally located, budget-friendly waterfront apartment along “condo row” in Christiansted, the larger and more tourist-driven of the island’s two towns. With hens and roosters wandering all over, the countryside never felt out of reach. Our street, lined with palm trees and a rainbow of bougainvilleas, also led to working-class neighborhoods and public-housing developments, daily reminders of the poverty here. We never felt unwelcome or unsafe, but for those who prefer more upscale and tropical settings, mid-level to pricey beachfront resorts and villas cover the island. Strike up a conversation with a local or a fellow tourist and you’ll immediately be asked, “Have you been to Buck Island yet?” Put St. Croix’s jewel on top of your list. Surrounding the uninhabited island, a 30-minute boat ride from Christiansted, lies the underwater Buck Island Reef National Monument, a protected reef system that includes a short marked trail. While some of the coral is in tough shape, the clear water nonetheless offers the area’s best snorkeling. Unless you have access to a private boat, you’ll need to use one of the National Park Service’s six concessionaires. Unfortunately, no outfitter allows enough opportunity to also experience the island’s hiking trails. After an hour in the water, we climbed back aboard and compared notes. I sought out Oliver Martin, 15, from Marion, Pa., who, with his dad, were the only people near me when I witnessed a heart-stopping sight. I agreed. With the help of a deckhand, we concluded it was a lemon shark, probably about 5 feet long. We also were treated to sightings of a large school of shiny blue tang, iridescent parrotfish, long-bodied trumpetfish, and camouflaged Nassau grouper. Apparently I was the only one to see a barracuda flash its teeth. With Buck Island checked off the list, Lina and I devoted a couple of days to the island’s history. 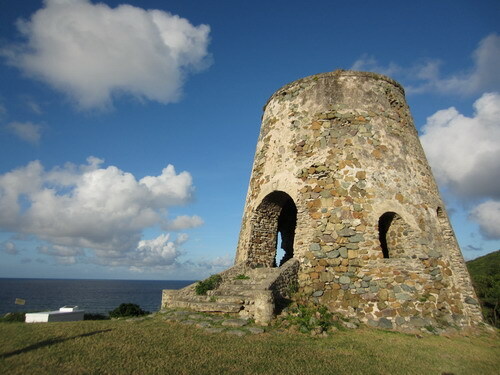 St. Croix contains the only known site where one of Columbus’s expeditions set foot on what is now US soil, in 1493. Before then, the area was populated by various indigenous tribes. 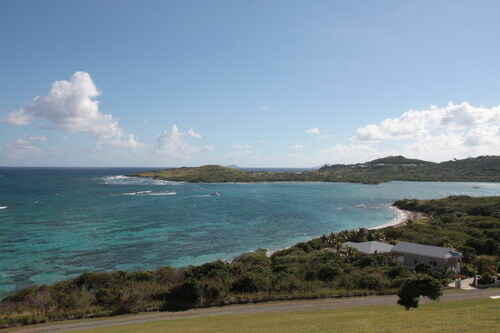 From the hilltop visitors center at Salt River Preserve National Historical Park (once a private home), we saw sweeping views of the sea, northwest St. Croix, and Salt River Bay, where Columbus ventured. Park interpreter Anibal Colon Jr. led us to the patio to bring the imagined scene to life. “Columbus anchored his fleet off the shore there,” he said, pointing to a curve in the bay. “And see that space between the house and those palm trees? That was where the Carib Indian village was.” The area can be reached by car as well, and is marked with only one small sign. Six other rulers have occupied St. Croix since Columbus’s Spain: Britain, the Netherlands, France, Knights of Malta, Denmark, and, since 1917, the United States. (Columbus named the island Santa Cruz, or Holy Cross, and its natives were called Cruzans. The French renamed it St. Croix.) Africa’s influence is equally felt, as the island’s socioeconomic system was based on slave labor for more than 150 years. Today about 80 percent of US Virgin Islands residents are descendants of slaves, and their culture lives on here in lilting West Indian dialects; music, especially quelbe, a fusion of rhythms and chants created by plantation workers; and cuisine, such as seafood callaloo, a spicy, thick soup with greens and okra. Denmark’s influence is most strongly felt in Christiansted and Frederiksted, the western city where cruise ships dock. Even some street signs are in Danish and English. 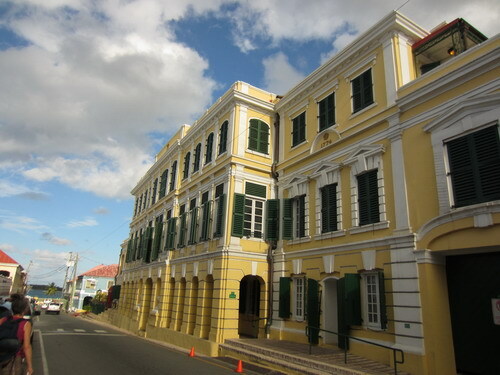 The park service maintains seven sites in downtown Christiansted, where crumbling neoclassical buildings mix with restored ones and gift shops and restaurants stand beside historic sites. The most magnificent is the sprawling canary-yellow Fort Christiansvaern, built by the Danes in 1738 to protect the harbor. The connection with her homeland fascinated Dorthe Mastrup, who arrived on the island with her husband and daughter on one of the weekly charter flights between Denmark and St. Croix. 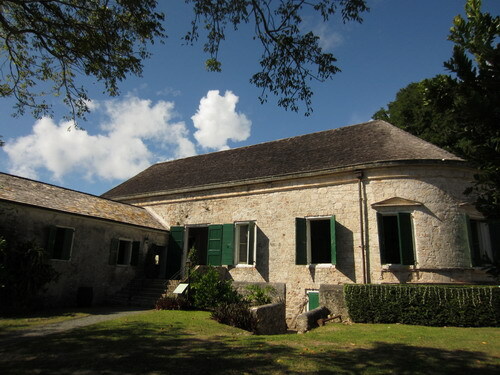 For an examination of plantation life on the island, we visited the 18th-century Estate Whim Museum in Frederiksted, which includes a “great house,” or plantation home, slave quarters, windmill, and the remains of a sugar-processing factory. At one time nearly 200 windmills and mills powered by animals covered the island, and their picturesque ruins dot the landscape. The last sugar factory closed in 1966, but the island still produces rum. We toured the distillery at Cruzan Rum, operating since 1934, and also the Captain Morgan distillery, newly relocated from Puerto Rico. The Cruzan tour gives visitors a behind-the-scenes look at operations, while Captain Morgan’s is more commercial and less close-up. Both have happy endings: rum tastings. A past industry some islanders are working to resurrect is St. Croix’s once-dominant agricultural scene. One of the farmers leading the charge is Atlanta native Nate Olive, who oversees Ridge to Reef Farm, which the public can tour. A trip here, on St. Croix’s northwest edge, also takes you into the rain forest, where streamers of vines rain down from giant kapok trees. 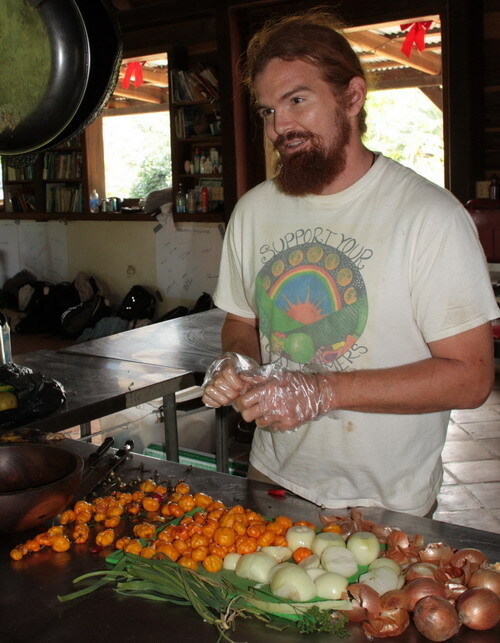 We caught up with Olive at the farm’s community center while he was making sauce from his organic scotch bonnet peppers, garlic scapes, and powder ground from the dried leaves of a moringa tree. “It’s going to be really hot,” Olive said, with a gleam in his eye. With 45 of its 120 acres in production, Ridge to Reef grows enough to sell to restaurants, at local markets, and to 100 members of its community-supported agriculture program. The farm, the sort of place where Bob Marley and Grateful Dead classics mingle with the scent of patchouli oil, also hosts overnight stays in open-air cabanas and a tree house. 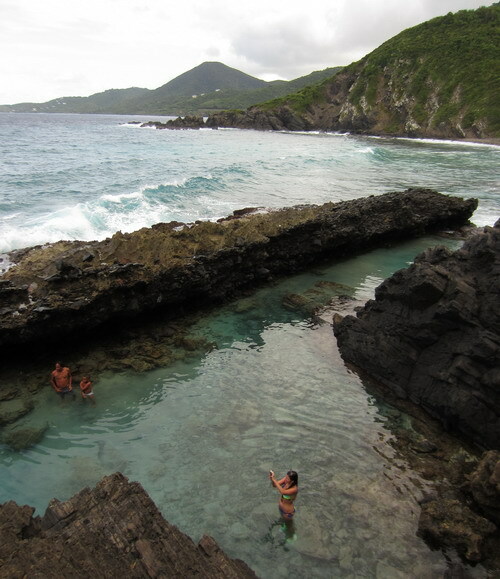 From Ridge to Reef, it’s not too far to Annaly Bay, a striking inlet on the island’s north side made famous for its tidal pools. We hiked to the bay along the strenuous 2.7-mile-long Trumbull Trail, once used by escaped slaves to hide out in the hills. Lina reached the “waterfalls” that feed the pools, created by waves breaking over rocks, but when I saw that the path there involved hugging a rock wall with the sea crashing below, I passed. While relaxing clearly isn’t a priority with us, we did carve out time at what became our favorite beach, the low-key Tamarind Reef Resort, where iguanas duke it out on the lawn and beachgoers relax under thatched huts. Chairs, snorkel equipment, and kayaks are free to guests, and the public can use them for a fee. We snorkeled around the active coral reef 20 yards from the beach, and kayaked to the protected 14-acre island of Green Cay National Wildlife Refuge 30 minutes away. Visitors aren’t allowed beyond the small sandy beach, but getting and sitting there are plenty fun. On our last trip over, we excitedly paddled behind a hawksbill sea turtle, its beak and flippers breaking the surface. By the end of the day, my now-soft hands were wrinkled again, but this time the Caribbean was to blame, with winter a distant memory. This entry was posted on January 18, 2013 at 7:43 am and is filed under Caribbean, Environmental, Family travel, Farms, Hiking, History, US/Canada national parks, Water travel. You can follow any responses to this entry through the RSS 2.0 feed. You can leave a response, or trackback from your own site. St. Croix has some lovely areas that many should see. 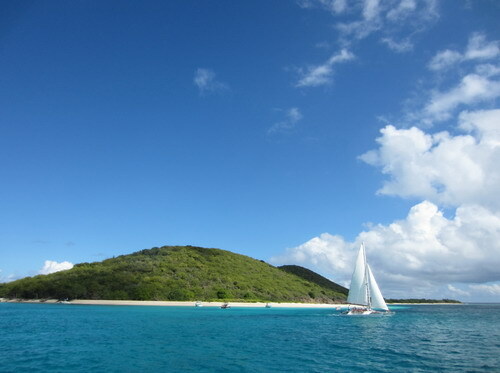 Don’t forget to stop at another virgin island, St. John, which is 2/3 rds. US National Park with lovely beaches. Thanks Phyllis. It’s true that St. John is lovely, and the park is amazing! 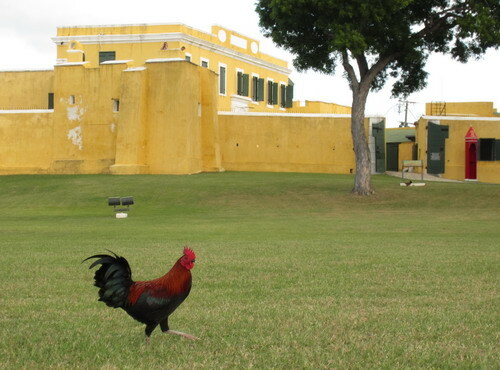 The thing I loved about St. Croix is the pulsating culture, both the past and the present.